The launch of the Samsung Galaxy S10 series is less than a month away. The South Korean behemoth will unveil the lineup during its Unpacked event, which will take place on February 20. The phones have leaked heavily already and some CAD renders of the handsets have also been spotted online. Now, real-life looking images of the Galaxy S10 Plus have popped up, revealing things that we already knew would be a part of the larger premium handset. First off, the leaked images largely corroborate the previous rumors and look pretty similar to the CAD renders that were leaked before. 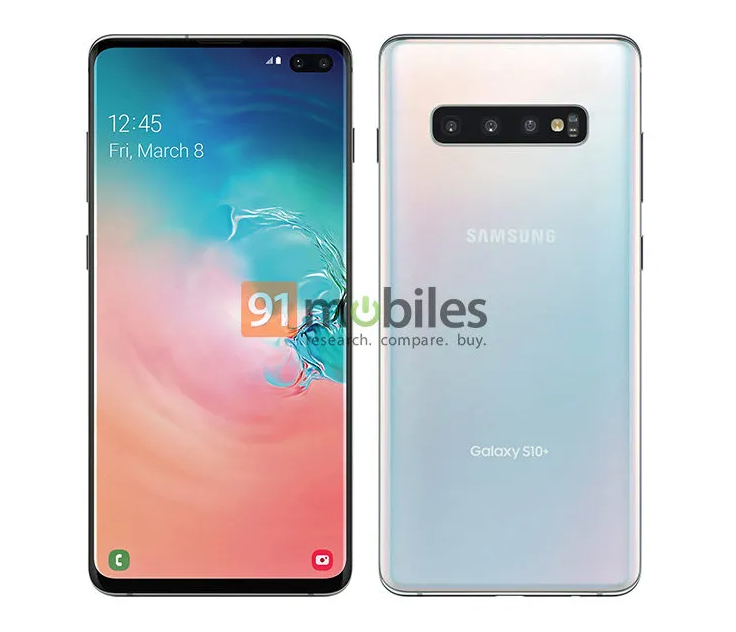 The Samsung Galaxy S10 Plus supposedly has a pill-shaped hole on the display, which means the phone will have two cameras at the front. One of them could most likely be a wide-angle camera while the other could possibly be the primary shooter. The phone has really slim bezels and apparently, it will sport a 6.44-inch Super AMOLED display with QHD+ resolution. Previous rumors had suggested that the phone will have a quad camera setup but the press renders show a triple camera setup instead. The cameras have been placed horizontally and are accompanied by an LED flash. There also seems to be no physical sensor at the back, which means the phone will most likely feature an in-display fingerprint scanner as rumored before. The Galaxy S10 Plus will most likely have the Intelligent Scan feature too, which uses Iris scanning and face unlock technologies to authenticate users. Since the phone is purported to come with a dual front camera setup, we can expect the Intelligent Scan feature to perform even better in different lighting conditions. It also seems that Samsung is experimenting with new colors, as one of the images show a smartphone with a new color scheme, which will reportedly be called ‘Prism White’. The button placement doesn’t seem to have changed, as the volume rockers and the Bixby button can be spotted on the left, while the power button can be seen on the right-hand side of the phone. It also seems that the device is running Samsung’s new One UI on top of Android 9 Pie. 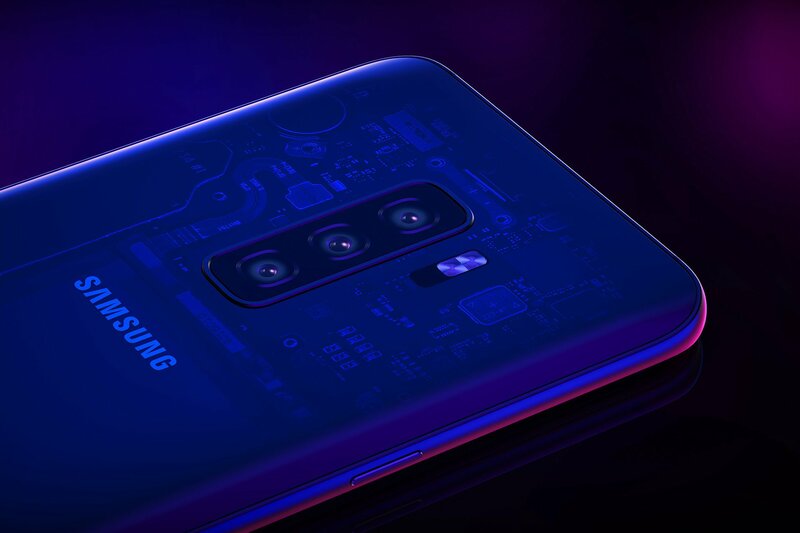 The Samsung Galaxy S10 Plus will be fueled by Qualcomm’s Snapdragon 855 or Samsung’s Exynos 9820, depending on where the flagship will be sold. According to the hardware specifications, the phone is expected to have at least 6GB of RAM for the base model. A previous rumor stated that Samsung is planning to launch a variant with 12GB of RAM and up to a terabyte of internal storage. 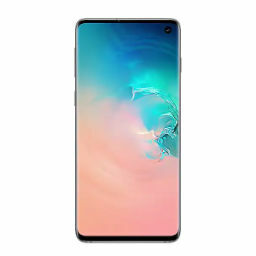 With Samsung having announced its 1TB of eUFS 2.1 storage for smartphones, it is not difficult to imagine the Galaxy S10 lineup being the first from the technology giant to sport up to 1TB of internal storage. With nearly all the information spilled, all Samsung has to do is go through with the announcement and provide details on the pricing and availability. Depending on the lineup’s affordability, you guys will know if these phones are worth it or not.